GATHERING OF THE CRAFTS IS AN ANNUAL SERIES OF INTENSIVE 3-DAY HANDS-ON WORKSHOPS AND LECTURES EXPLORING VARIOUS MEDIA: CLAY, METAL, WOOD, FIBER OR GLASS AND USUALLY CONDUCTED BY ARTIST CRAFTSMEN FROM OUTSIDE HAWAII. Here are the topics she will cover over the three days. Beth will share about where her ideas come from and how she integrates them into a body of work. She will touch upon how the emotional, psychological and intellectual content of the work is translated into subject matter, gesture, scale, and installation. The demonstration will begin as she works on a small oil clay study while discussing with the workshop participants the subject matter and how she makes every decision on line and form as she is thinking through to the final sculpture; remembering the end at the beginning. Throughout this period of working small, Beth will be speaking about her experiences as a professional artist, using stories and anecdotes to convey how all these elements are woven into the work she is creating. Next the students will help her problem solve on how the final study will be engineered out of 600 pounds of water-based clay. How will we hold up the mass of material while still allowing for articulation and fluidity of the form? The next step is problem-solving the actual building of the armature that will hold the clay in place, using ½” steel pipe and fittings; the students will be participating in this process. Being the most important step in sculpting, the armature is tested and revised as needed based on how it will function under the weight of the clay. Students are asked to think through the ramifications of weight vs. freedom of gesture and how the armature is placed in order to give the final sculpture the desired presence when it is finished. Consideration for the engineering problems of cutting and refitting sections during the hollowing process is also discussed and planned for. Following Beth's lead the class will work together roughing in the first 200-300 pounds of clay. The initial part of building will concentrated on the physical strength of the clay form on the armature and the gesture of the entire body into the movement of the spine. Towards the end of the session we will be concentrating on the exact movement of the ribcage in relation to the spine, hips and shoulders. Demonstration elements discussed during throughout Saturday include: making structural vs. muscle shapes, using additive vs. subtractive methods of building, drawing on the surface of the clay, cardboard ears, tails, dowel armatures for articulated legs and arms. Students are encouraged to ask questions during this phase, keeping up a lively dialogue- particularly addressing the themes and stories from the artist lecture. Armatures, maquettes and A Rush of Blood to the Head- Part One. These process talks are the meat of the whole demonstration! This is an interactive slide lecture beginning with Beth guiding the students through multiple pieces she has made in the past, showing the studies and armatures for each. The main attraction is the Rush of Blood to the Head Lecture, where she shows every single step of making one of her 9-month long projects from beginning to end. In Part One, Beth shows how this 6 ft tall, double figure piece was engineered, sculpted and hollowed out over a 5-month period. A Rush of Blood to the Head- Part Two. This second part of the process talks is even more intensive than the first! Beth begins this talk with the piece coming out of the kiln, having been fired in sections, and shows in detail, how the piece was adjusted, reassembled and finished over the following 3.5 months. Through out the day the class will continue sculpting on the wet clay piece. Demonstration elements include: articulating movement and tension/release through the building up and fading of anatomical elements, use of gestural mark-making to highlight the content of the work, details of the face and extremities as final elements that evoke emotional responses from the viewer. All the students wishing to participate, are given an orange-sized lump of clay, a popsicle stick and a skewer, and Beth takes everyone through the process she uses for creating an eye. This is a great way for Beth to talk about the difference between sculptural and anatomical form, and how she combines the two, painting with light and shadow to create an expressive element of the body. 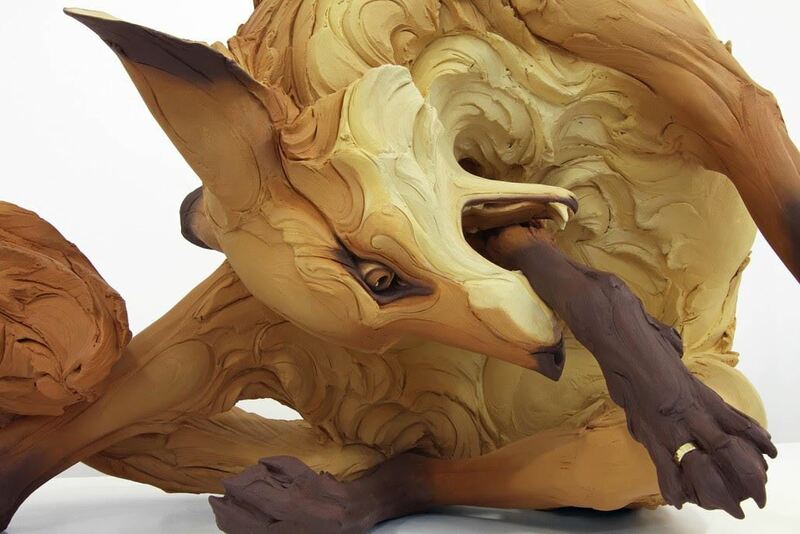 The Sculpting and refining of the piece must be finished at this stage and the students are guided through the meticulous process of choosing how the piece will be cut into sections for hollowing. Discussion and demonstration, when possible, will include kiln loading and firing, grinding, gluing, problem solving firing flaws, surface finishes, and installation. This time can be used to reflect on any part of the demonstration activities and discussions. The last 30 minutes of the evening is set aside for all hands on deck studio clean up. MEMBERS ARE ENCOURAGED TO ENROLL FOR THESE WORKSHOPS DUE TO LIMITED CLASS SIZE. Actual times and dates of events will vary from venue to venue depending on scheduling. Some Venues will run three whole days and some venues will run two half days and two whole days depending on availability. The sculptures I create focus on human psychology, stripped of context and rationalization, and articulated through animal and human forms. On the surface, these figures are simply feral and domestic individuals suspended in a moment of tension. Beneath the surface, they embody the consequences of human fear, apathy, aggression, and misunderstanding. I rely on animal body language in my work as a metaphor for these underlying patterns, transforming the animal subjects into human psychological portraits. 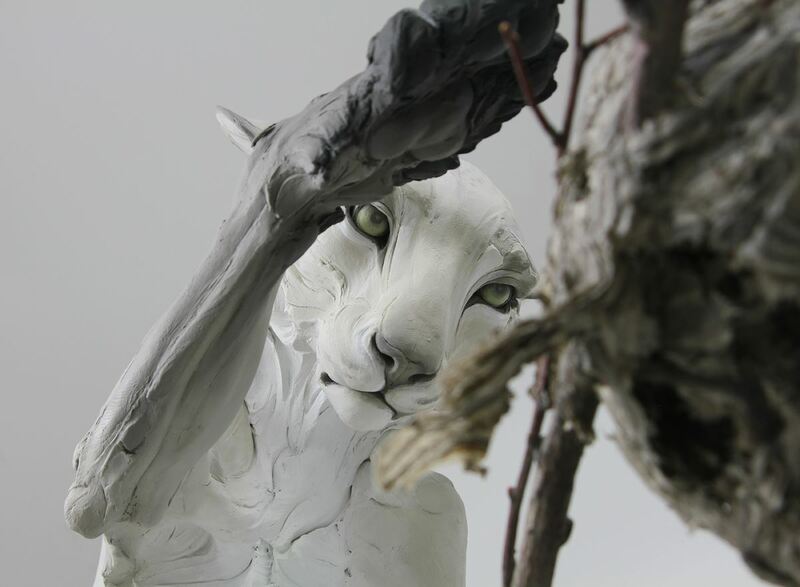 Beth Cavener was born in Pasadena California, her father a molecular biologist and her mother a sculptor and art teacher. She went to Haverford College, attended Cecil Academy of Art in Florence, Italy and graduated with a BA in sculpture. After working in Nashville Tennessee and at the Charles H. Cecil studios in Florence, Italy she was accepted and received her MFA from Ohio State University. 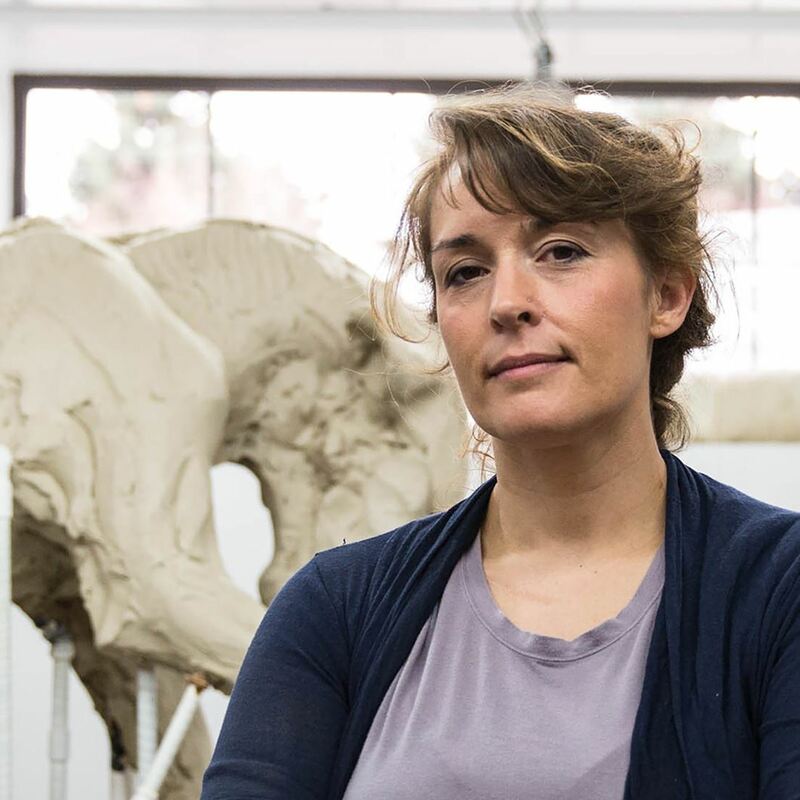 Cavener has completed residencies at the Archie Bray Foundation, the Clay Studio, Jingdezhen, China, La Meridiana, Italy, the Shigaraki Ceramic Cultural Park, Japan to name a few. Her work is held in many public and private collections including the Honolulu Museum of Art, the Arizona State University Art Museum (Tempe), the Chazen Museum of Art (Madison, Wisconsin), the Museum of Fine Arts, Houston, the Northwest Museum of Arts and Culture (Spokane, Washington), the Racine Art Museum (Racine, Wisconsin), the Smithsonian American Art Museum (Washington DC), and the Tennessee State Museum (Nashville). 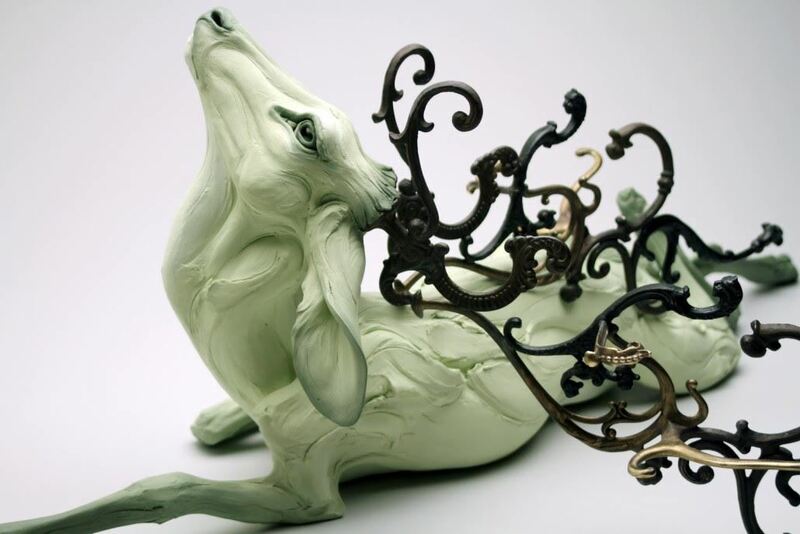 She is currently represented by the Jason Jacques Gallery in Manhattan. Please help us prepare and accommodate all attendees at this venue by registering below.